It is safe to assume that every formative process seems to follow the same pattern of behavior: Individual parts joining together to make a whole part which may, or may not resemble the elements that built it. Yet, what motivates the individual parts to unite? How do the parts of an object interact? How do the changes within the parts affect the changes within the system? Those questions are what bring us to the analysis of four sociologists: Von Bertalaffy, Banathy, and Laszlo. Von Bertalanffy saw the world through scientific eyes (Brauckmann, 1999). As a scientist, he had already conceived a series of theories that aimed to show a structure and pattern of formation among different things. In 1930 he offered the “Organismic Systems Theory” (Von Bertalanffy, 1960, p. 156). This theory attempted to explain the processes of life as a phenomenon. He insisted that individuals exist because of a combination of different processes that work together in the formation of the organism. He offered that these processes are systemic, yet dynamic, and complex. To illustrate this idea, Von Bertalanffy compared the organism as a machinery out in the open trying to “maintain equilibrium”. This equilibrium symbolized the individual’s struggles to survive and adapt to an environment, but also the internal struggles to adapt and perform that occur within the systems that compose the individual itself (Von Bertalanffy, 1960, p. 158-159). In it, Bertanlaffy claimed to have found the way to “control the model of construction in all sciences” (Von Bertalanffy, 1949 p. 45). The theory is a qualitative analysis of the process of formation of things, to explain and understand the establishment of relationships between “objects and phenomena” (Von Bertalanffy, 1949 p. 45). The concept of the GST was construed from Aristotle’s “the whole is more than the sum of its parts” stating that this is a definition ‘of the basic system problem that is still valid’ (Von Bertalanffy, 1975 p. 149). 1) That systems interact with their environment, 2) the systems are not static and continue to change, 3) that the continual evolution of the systems depend on the changes within its properties 4) that the internal systems, undergo a type of self-organization that denotes the complexity of their actions. Von Bertalanffy’s general systems theory basically states that the study of all systems can be modeled under the premise that the unification of elements will create a wholeness. Yet, the elements themselves are also creations of smaller elements which is what brings us to determine that the processes that enable a system to form are equally complex and interactive. Anderson, Carter, Lowe and De Gryuter (1999), agree that one of the biggest benefits of the GST is that it opens the door to further inquiry by joining all sciences, and by expanding the study of disciplines into the understanding of the components of each. They insist that this theory is perhaps one of the most accurate ways to understand processes and to analyze them properly. Now that the premise of GST has been established, and that the term “system” has been identified as a “unified whole”, lets move our focus to GST in education, mainly under the scope of Von Bertalanffy’s works. According to Banathy, von Bertalannfy’s GST has been used to study changes in the systemic design of educational institutions but there is not a common- ground scientific approach to describe the processes needed for a system to change in an expected way. Yet, the GST has been included in a myriad of studies regarding educational systems as an essential theoretical framework (Banathy, 1991, p. 7-10). This was the beginnings of the development of ATIS. More methods of measurement and research of educational systems and change have been developed or are currently under development. Thompson (2005) offers that the process of implementing these software programs and other programs related to educational change is “systematic” and often “slow”. The procedures leading to change in any systems are proportional to the ability, aptitude, and attitude of the elements that compose the system. Therefore, in order for there to be a change in any educational institution, program such as PESO and others do their part by providing the information that the members of the system need to address the need of change. Ultimately, those who decide to engage in the process of change itself will have to do that on their own accord. In other words, the GST theory has managed to develop awareness in groups on the needs for change and transmutation into the changing times. However, we must not forget that in systems established by individuals, the essence of the individual and the motivation behind the individuals involved will be what ultimately decides the distance to which a system will go. Banathy synthesizes this latter process by offering three major points should be followed in his theory. In his view, all systems are composed of three major building blocks: purpose, process, and content. It is important to note that these three elements are listed in a priority level, which means that one is a consequence of the other. (Banathy, 1968 p. 83). In Banathy’s theory, a system has a purpose because it has a goal that needs to be achieved by the group. After the group knows what needs to be done to attain a common goal, it needs to come up with a process. The process is defined as a series of operations and things that need to be done to accomplish a purpose. Finally, the content is defined by the set of parts makes up the system. In the case of educational systems, Banathy states that in an instructional system is not an institution whose main goal is learning. Instead, Banathy describes learning institution as a research continuum where teachers identify the students’ learning styles, and where the learner (and not the teacher) would be in charge of the learning process (p. 24). Banathy proposes that all instructional systems should consist on ongoing observation, assessment and change that is related to what the learner needs. The teacher will serve as a guide rather than as the ruler of the information, and the institution itself will be the environment where the opportunities for research and development of programs will take place in a vaccuum (p. 25). It could be concluded that Banathy’s view of an instructional system differs greatly from the vision of the teacher as the “shepherd” and the students as the “sheep or herd” who follows the leader. In fact, Banathy describes such scenario as one of the current trends by which programs are guided, yet, it should not be the expected outcome of all instructional systems. In Banathy’s opinion, any system that operates for a common goal must have more than one direction, and more than one expected outcome. In the case of instructional systems, the students and the teacher will develop instructional goals together, will research together, and will guide each other in the process of acquiring and applying information. Concisely, Banathy offers that the instructional system will work by creating a cooperative environment where the teacher is a resource, and not a ruler. An environment where the student is an explorer, and not a passive recipient of the idiosyncrasies of the educator, and a continuum where the institution is a source of change, interaction, and socialization rather than a closed environment of rule following and dire consequences. (p. 61). It can be concluded that in Banathy’s eyes, systems are not linear, absolute, and strict. On the contrary, systems are very dynamic, interactive and prone to change. This is a summarized form of social systems through the eyes of Bela Banathy, and the way he applies the theory to education. The view of systems as complex entities of interaction. Down the line, however, László makes a subtle detour from the views of Banathy and Bertalanffy as he transcends from the concrete to the abstract, from the need to organize systems to the reality of systematic chaos; from the visible to the invisible. For László is more than just a social scientist: He is a philosopher, cosmologist, and in this author’s opinion, a mystic whose focal point just happens to be the “concretely mundane” society. The above quote can be used to summarize the bases of László’s theories. He concurs that systems evolve individually, intrinsically, and extrinsically. The way that they expand and grow is proportional to their role in higher systems. For example: The service within an organization will inevitably change if the circumstances of the people who provide the service also change. If a service person is sick the bank cannot provide fast and accurate service. Hence, changes are expected to take place within every organization, and the changes will make things transform. Perhaps the weight of László theory is the fact that change, however radical, is inevitable, and should be expected. Therefore, one could conclude that the only hindrance to the possibility of evolution, particularly those of social systems, is the inability of the system’s components to accept and comply with change. p. 183). In the theory of the anatomy of conceptual synthesis, Laszlo advocates for the unification of all systems that are needed to combine and form a solid, unified, civilized society. This civilized society can be achieved with the proper use of current systems: Food systems, housing systems, medical and social departments. As long as these systems do their jobs by satisfying the need for the basic elements, there is no reason why a society wouldn’t be able to evolve, and improve for the best. In order for these systems to have the common goal of serving society, there should be what Laszlo describes as a “level of solidarity”. These levels of solidarity can be found in homogenous groups such as religious groups, sects, and other common-interest associations. However, he makes a very clear distinction between belonging to a common group and belonging to a common group that distances itself from other groups. Solidarity, hence, is achievable through setting goals of enhancing society within each of the roles each person takes. It is achievable through doing each individual job required for the enhancing of society to the utmost potential. It is also achievable through accepting the different roles within each societal group, not allowing intolerance or divisiveness, and helping those less developing nations catch up to the ones who are in advantage. A system is a unified, complex, whole that operates as a result of the different interactions and independent performance of each elements that form it. The mode of operation of each of its parts is what will ultimately decide whether the system will be deemed functional within a macrocosmic scenario. This implies that each element that interacts within a system is responsible of the consequential interaction of the system among other systems. In order to understand the mechanics behind the operational functions of elements, philosophers such as von Bertalanffy, Banathy, and László provide diverse ways to view the unfolding of these performances under different perspective. Banathy and von Bertalannfy share the common view of systems as people. Each is given a set of elements that ensure their performance, yet, each element has to be studied separately, and should be assessed independently. Banathy differs from von Bertalannfy in that he does not believe that generalizations should be allowed in any kind of assessment. The correct study of the interaction of elements within systems occurs when the elements involved are viewed by their individual role within the whole. The systems studies of László are different from Banathy and von Bertanalffy only in the ideologies beneath them. 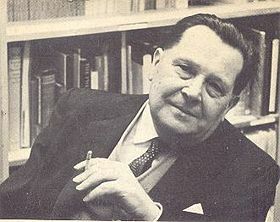 László, as a humanist and as a scientist, concurs with the previous philosophers in his view of systems as organisms. He, however, tends to look at the future and the results of what would happen should all elements within a system work properly. As stated previously, Laszlo believes that all systemic forms tend to gear toward a status of consistent change and complexity. László says that systems produce “a higher throughput of free-energy flux density and more extensive interaction between systems and environments” (1998, p. 17) which basically points out the need to examine roles and positions within systems. However, László adds the psychological, emotional, and human factor to the theory, by strongly arguing the need to get together as civilized individuals to make the system work. As we studied before, László’s peaceful ways resulted in the creation of the “Human Manifesto” of 2002, where he and other famous individuals famous for their world-peace efforts signed a bill asking the world to basically get fixed. The combination of perspectives, goals, plans, and theories presented in this analysis show three philosophers with three different dimensions to achieve a common goal: Von Bertalanffy’s scientific approach and organismic views of systems, Banathy’s stardardized and criterion-based solutions for the enhancement of instructional systems under von Bertalanffy’s general systems theory, and László’s humanistic approach to the organismic reality of systems. All theories discussed in this analysis agree in pointing out to one same source for the understanding of elements: This source is individuality, and the need to understand its complexity to realize how they affect systems. Perhaps if we all agree to isolate the characteristics of each individual element that makes up a system we will be also able to understand the complex behaviors, thinking modes and rationale behind most of the theories that we have studied today. Maybe we could even enter inside the brains of the theorists and understand the reasons behind their postulates. Concisely, one must not take lightly the fact that complexity is everywhere, and that reducing a system to the study of a bunch of working parts is not the way to approach the uniqueness of each group. Therefore, this analysis serves to propose a continuous examination of items, circumstances, histories, and expectations in order to create and maintain an organized and unique society. Bertalanffy, L. von, (1968). General system theory: Foundations, Development, Applications. New York: George Braziller. Bertalanffy, L. von, (1972). “The History and Status of General Systems Theory”. In G.J. Klir (Ed. ): Trends in general systems theory. New York: Wiley-Interscience. László, E (2004). Science and the Akashic Field: An Integral Theory of Everything. Rochester, Vermont: Inner Traditions.